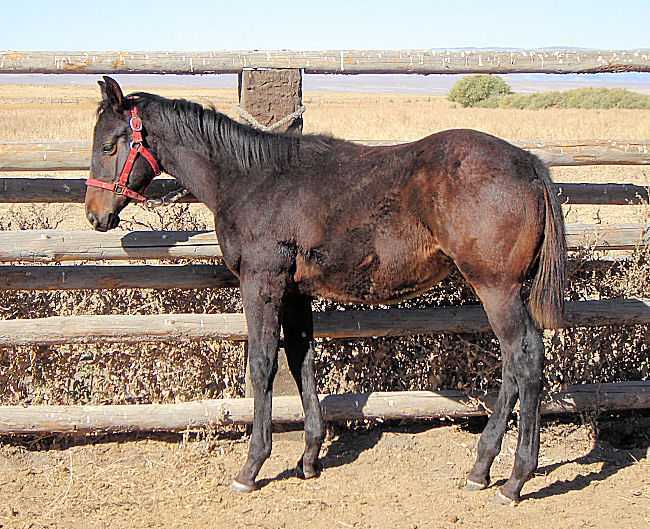 Brown/ gelding Quarter/ Thoroughbred Cross. 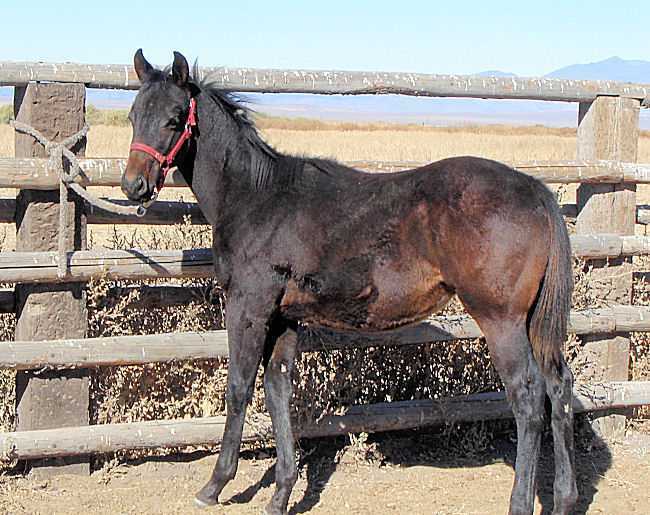 This brown gelding was raised to cover lots of ground while gathering cattle. 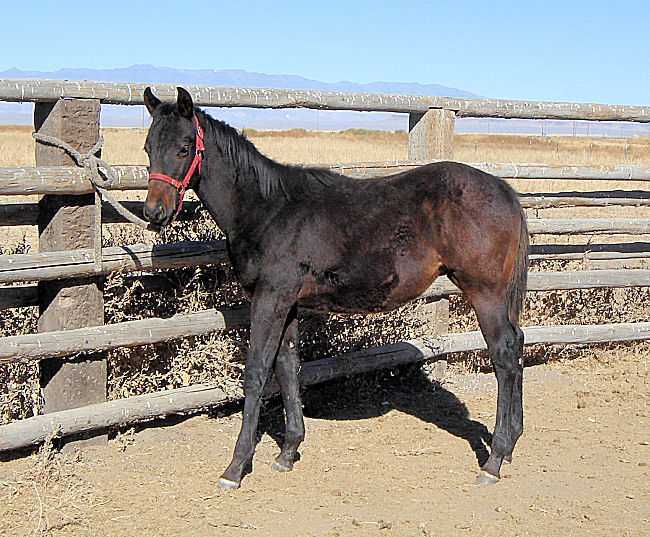 He is out of a Thoroughbred mare and a Registered Quarter horse stallion, "Sonomas Diner Flight". He is sweet and easy to handle.